Shimano’s WH-R500 (and the subsequent WH-R501A model) is positioned as an entry-level wheelset that provides an economical alternative for riders looking for a basic training wheelset. 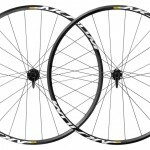 A pair of WH-R500 or R501 wheels has a list price of about $230, but they can be found for well under $200, making them comparable in price to Mavic’s low-end Aksium wheelset. “Low-end” is relative, as the wheelsets in this price range perform quite well for riders of most calibers. As part of the Shimano line, the WH-R500 sits below the Ultegra WH-6700, an aluminum wheelset that retails for nearly twice the price of the R500. Moving up to the carbon-rimmed RS81 wheelset in the Road Sport series will cost you nearly twice as much as the R500 or R501. The difference used to be more, but prices have shifted over time. Despite its economy status, the R500 and R501 at least makes an effort to look attractive. The rims sport a two-tone anodized finish, and the hubs and spokes are finished in basic black. The rim profile is modestly elegant, but there’s nothing remotely aero about its relatively shallow 24mm height. Several new bikes come with the R500 or R501 as standard features, largely from the Giant lineup but also from some other brands. They fit well with the entry-level road bike market — bikes that are made by reliable manufacturers with good components, but are the starting point of their respective lineups. The extra weight that this wheelset lugs around means that it’s not anyone’s idea of a racing wheelset, but the R500 doesn’t claim to be speedy. Instead, its focus is on providing an affordable, sturdy set of wheels that can serve as a starter set on an entry-level bike or as everyday wheels that you can pound on while you spare your lightweight wheels for a time when they’re truly needed. We have heard from lots of riders who like the versatility of these rims, serving well for commuting during the week but then turning into an adequate training ride wheel on the weekends. The aluminum and steel construction and round spokes are nothing but the basics, but actual experience over the years tell us that the R500 wheels are capable of standing up to thousands of miles of use under a moderately sized rider. We expect the same thing from the newer R501. Despite its lower price point, the Shimano RS-81 has an attractive and strong spoke design. One common complaint with the R500 was always focus on the plastic rim tape that Shimano used on them. The thin tape, in combination with the sharp edges of the spoke holes, sometimes resulted in flats. Replacing the plastic tape with more robust cloth tape seems to solve the problem, however that is a fix that might be above the skill level of some folks. It might be a good job for a pro. The good news is that the R501 is a pretty common wheelset to find on the market, and the prices tend to be competitive. We are assuming you are not in the market for something like a Zipp 404, so need to keep your costs down. Upon last check, we found it for the $250 – $300 range at Jenson USA. All in all, that is not a bad price for a good all-around wheel, and as you will see in the “alternatives” section it is not a price outlier, either. You might find closeouts at a better price point, and the R500 can be found used for under $100. For our money, though, we prefer the trustworthiness and return policy of Jenson or REI. An alternative to the R500 and R501 could be either a comparable training wheelset or an upgrade to a lighter, faster, more race-ready wheelset. • Mavic Aksium. The Aksium wheelset is lighter than the R500, features bladed spokes and has a similar rim profile to the R500. 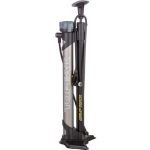 Its list price is $20 higher, however, and its lower weight and 20-spoke lacing suggest that it might not be as durable as the R500 for heavy riders. Still, we find that the Aksium gets excellent reviews from riders. Find it here. • Shimano WH-RS20 or RS30. Upgrading to Shimano’s Road Sport line gets you bladed spokes and (especially in the case of the RS30) an aero rim profile. It will also cost you a little more money; the RS20 (and its new version, the RS21) commonly retails a little more than the R500, and the RS 30 is usually a step-up price-wise. Find it here. The R500 / R501 wheelset family is, without question, a no-frills, but its price is hard to beat. 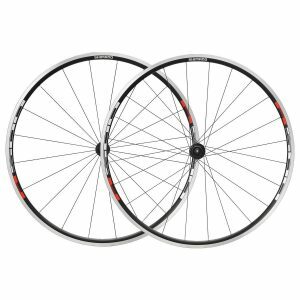 The point of a training wheelset is that it’s able to endure the kind of situations that you don’t want to subject your racing wheels to, and the R500 and R501 seem to live up to that expectation admirably, especially considering the low price point. Strong and reliable—if a bit sluggish—the R500 delivers reasonable performance in non-competitive contexts. Our recommendation is that it really comes down to the Mavic Aksium, which has some real advantages in some categories over the Shimano wheels, or the RS 500 / RS 501. Both are good, and the price difference we used to see (Mavic’s were more spendy) is all but gone in most shops. Throw a quality road bike tire on the rim, and you will be setup with a set of wheels that you can be proud of no matter what you ride. 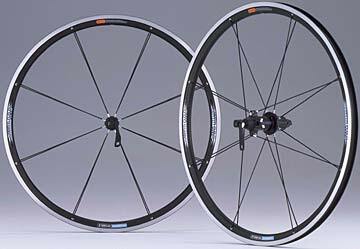 We have also found the RS500 wheel to be great on a trainer wheel, for those of you using a bike trainer in the winter. Keeping a durable wheel ready to throw on anytime you go on the trainer can be a great way to save time. Whatever you do, avoid the cheap Chinese wheels that have flooded online stores in the past couple years. They have not yet stood the test of time. Stick with reliable names like Shimano or Mavic for best performance.